Template creators, your life just got easier! 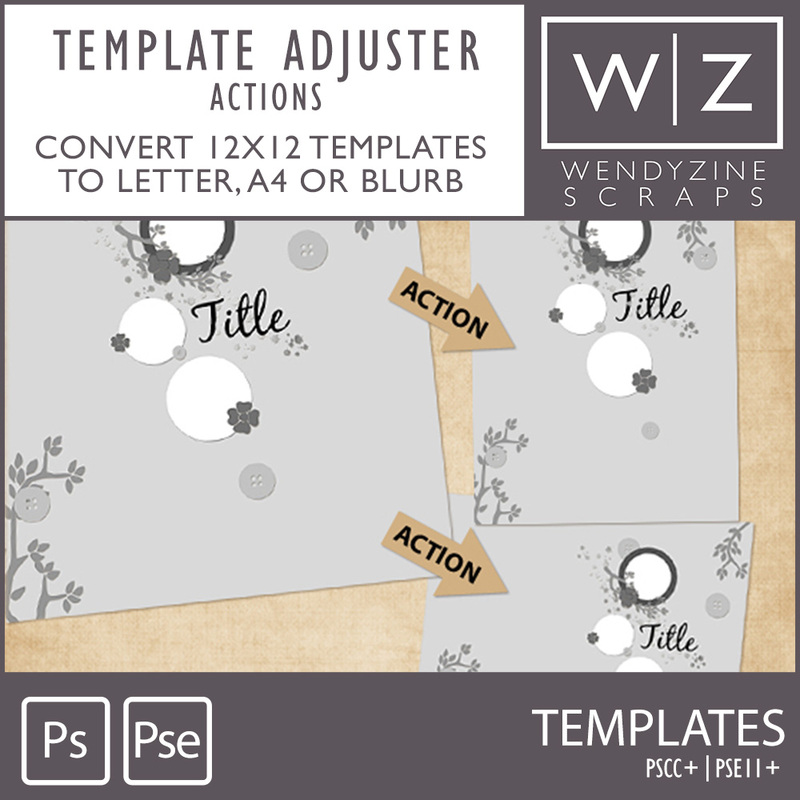 This set of actions converts your layered templates or quick pages into additional sizes. Start with a square 12x12 or 8x8 page and your page will be resized to 8.5x11 (horizontal or vertical), A4 (horizontal or vertical) or Blurb (7", 8", Left & Right). Includes a saver action to save both a PSD, TIF and thumbnail JPG copy. NEW FOR 2019: Element Resizer action to move additional clusters of elements. Horizontal and Vertical to 12x12 actions. Scrappers, this action is for you too! If you scrap in letter size, you can resize any square template quickly and easily to fit your scrapping style. Tested in PSCC+, PSE11+. Mac & PC, English & German.